Nadella shared his experience of how India changed from being an service provider to a using its own IT prowess in the various sectors. Satya Nadella spoke at India Today Conclave 2017 where he talked about the spread of digital technology in the Indian landscape. Nadella shared his experience of how India changed from being a service provider to a using its own IT prowess in the various sectors. During his session at the Conclave, Nadella shared a few instances where artificial intelligence and mixed reality have already started making major impacts in the fields of health and business development. 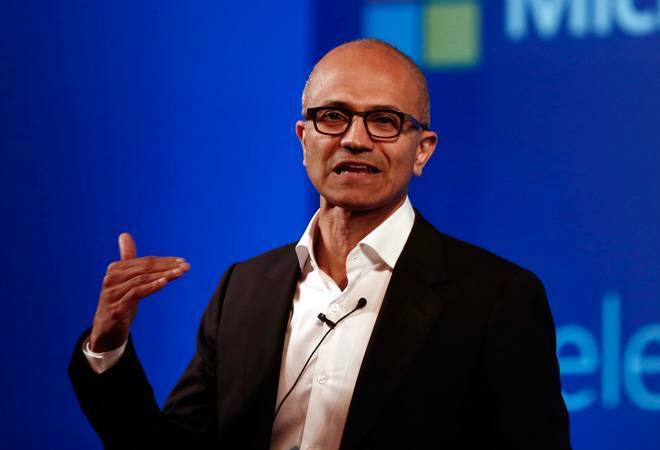 Nadella spoke about the numerous opportunities that come with technological advancements. However, he believes that with tremendous opportunity comes tremendous responsibility. Nadella spoke about three timeless values associated with the responsibility of digital technology. Build trust in technology: To build trust in technology, not just as a cyber security technical challenge but also trust that technology will help bring multiple constituents like government, people and institution together. Telling us about the company's vision Nadella stated, "Our mission is to empower every person and every organization on the planet to achieve more. Other's achievements on top of the technology we build is the true reward for us." Further he explained the change that can be experienced right in front of our eyes. According to him there will be no computer-human interaction that will be bound to a single computing device. Everything we experience is going to span multiple devices and multiple senses. One will transcend the input and out mechanisms. Another major change can be seen in the involvement of AI. According to him, every one of the computational experiences is going to be infused by AI. "AI will be a part and parcel of every experience we create," he added. The ultimate computing experience will blend both virtual and real world. In future, this experience will change the idea of going to a computing device for a particular service. Satya gave instances from real life experience where this mixed reality is helping medical professionals in not only restructuring the educational experience using devices like Hololens, but also by using artificial intelligence to make predictions. Nadella also introduced an AI-based chat bot, Ruuh. The chatbot has already registered 17 million chats in a period of nine months.